A reliable Bluetooth headset makes doing chores and activities that require both hands infinitely easier. The experts at FindTheBest found the best Bluetooth headsets on the market based on a Smart Rating system. The Smart Rating takes six tech magazines’ reviews into account as well as other features including voice quality, connectivity, and control features. The Jawbone ICON headset takes two hours to charge and has a wireless range of 33 feet. It has noise cancellation and voice isolation features, but the charge only lasts four hours, which is below the average talk time. Like the Jawbone ICON, the Plantronics Pulsar 590A has a charge time of two hours and a wireless range of 33 feet. However, the Pulsar has a 12-hour talk time life — enough to last you the entire work day without having to recharge. The Sound ID 510 has a media playback control feature which allows users to record and play back conversations. The headset has a three hour charge time and a talk time of five hours. 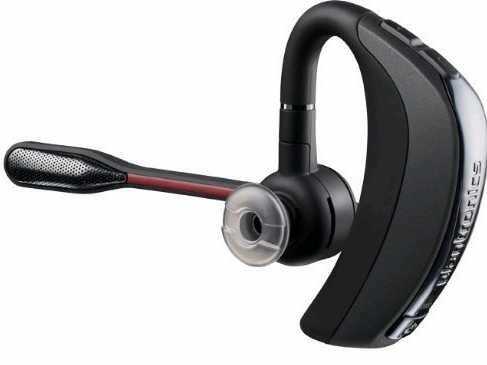 Similar to the other Plantronics headset on the list, the Plantronics Voyager Pro+ has a wireless range of 33 feet and a charge time of two hours. The Bluetooth headset has voice dialling and wind cancellation features for a clear calling connection. The Jabra BT8010 can last up to 300 hours in standby mode, which means that it has a great battery life. When in use, the headset has 10 hours of talk time and a wireless range of 33 feet. It also has lots of control features like voice dialling and media playback. The Plantronics Discovery 975 has great voice quality because of its echo, wind, and noise cancellation features. It has a wireless range of 30 feet and a talk time of five hours. The Plantronics Voyager PRO HD has a talk time of six hours and standby time of 120 hours. The Bluetooth headset has voice dialling as well as wind and noise cancellation. The BlueAnt V1 has six control features and five voice quality features which pushes it up the list. The headset has a talk time of five hours, a standby duration of 200 hours, and a range of 33 feet. With the second-longest standby time (200 hours), the Jawbone Era is No. 2 on the list. The headset has a sleek design and is great for cancelling out background noise for optimal voice quality. The Bluetooth headset can be paired with eight different devices and has a talk time of five hours. With a Smart Rating of 100, the Plantronics Voyager Pro is the best Bluetooth headset on the market. Don’t let the old-school design fool you — the Voyager Pro has exceptional sound quality that can withstand any environment. 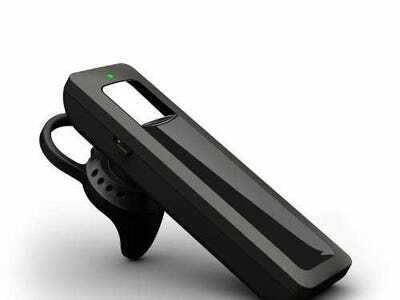 The headset has a talk time of six hours, standby time of 120 hours, and a wireless range of 33 feet.